Repairing a damaged floor truly requires some great deal of efforts for the concrete and despite of so many efforts, the finished result sometimes is not significantly satisfying. Concrete that is regarded as the most viable material for flooring can be damaged and for that there can be many possible reasons like humps left by the finishers, or expansion or contraction, improper finishing or it can be caused by the heavy objects too. The highlighting point is that the flaws cannot be possibly covered by any carpet or any vinyl flooring often used by the people so it is mandatory to repair the slab. The need of repairing can be accessed from surface defects that gives you the clue about the upcoming arrival of the major problem. Determine the scope of the problem first with regard to the damaged concrete so that you can take steps wisely. The finisher conveniently can measure both the length and the width of the area that needs repair with the help of the ruler. The damaged area may comprehend ridges, bumps or depressions that need to be taken in account by the repairer. He actually level the small area of not too deep surface with the levelling compound instead of putting the efforts of chipping out or restoring the actual one. The levelling compound effectively can be used for the shallow surfaces but that must be small too. Next step calls for the surface chipping of the concrete in order to remove the high material and to prepare the surface to bond the repair cement mixture. Usually for small areas the chipping hammer is used by the professionals but for the larger ones, electric hammer will be the perfect choice or it can be replaced by the jack hammers too. Otherwise take the help of the grinding machines as other professionals do to make the surface ready for the necessary repairs. It is essential and also a basic to clean the dust and crap from the area that you chipped in the previous step. After conducting proper cleaning, the new material can be able to work powerfully to adhere with the need. Use a wire brush or else use some stiff broom or the paint brush for the purpose of cleaning. Remember if you find the age and the condition of the concrete old and too damaged respectively then consulting a pro is recommended. The mixed material is to be filled in the chipped out area to make it flat. For this, you have to first take the dry ingredients in the proportion of 1 part Portland cement to 2 and half parts of the clean masonry sand to have the perfect mixture with you. To bring out the stiff consistency in the dry mixture, use enough amount of the bonding agent to turn out the mixture of the dry sand and the mixture in the wet form so that it can be used productively in the chipped out area. One important advice regarding this is read the instruction properly before applying any of the bonding agents as some of them can be directly applied to the area like a glue. That’s why reading the instruction to follow the same is suggested. Succeeding step propound you to wet the area before filling the mixture in it. 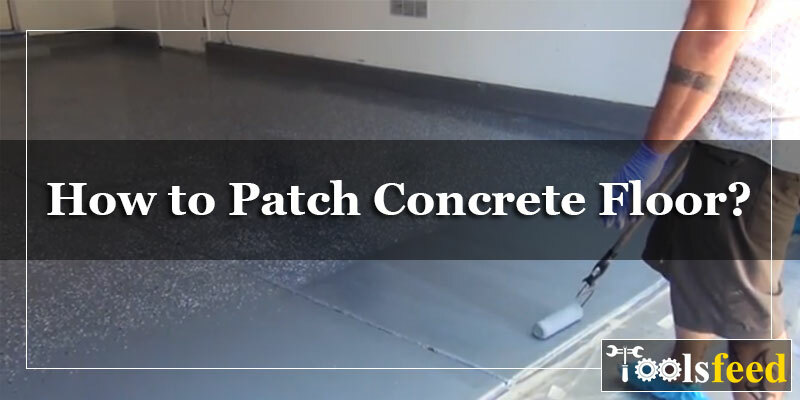 You just have to accurately dampen the area so that the area does not remain dry and cannot be able to draw the moisture from the mixture of the cement to immediately crack or shrink it in short time. So keep in mind to wet the area with the clean water for effective and the long lasting results. Now pour the mixture into the space by scooping out the mixture from the container very carefully and forcefully work on the space to make it flat and force out the air bubbles. The trowel has to be nicely used for levelling the surface of the wet cement. After levelling it leave for the hour to dry it completely. The drying time may be more than an hour also depending upon the temperature and the humidity of the place. Notice the thing that you have to leave the surface higher than the adjoining edges allowing it for the reason of settling and the shrinkage. It is to be remarked that to make the area smooth and to flatten the surface, the steel finishing trowel must be used but only when the patch material has turned to stiff. Use the magnesium float on the very large and the deep areas finely in order to bring more cement paste up. Getting the surface of the finished slab is only possible with the use of this paste and this is the reason of adding its name in the step. After doing it you have to give time to the patched area to dry for another hour. Lets the area completely gets dried within an hour or two to experience the good results. Basically at this stage you have to splash the water to slow the drying process because that eventually makes your surface stronger and long lasting. Scrape off any extra cement around the edges to make the area look clean by either using the edge of the towel or any other thing. You have another god choice of the hydraulic cements that gets easily dried up in less than 30 minutes. The process of patching ends here and the last step calls for the cleaning of the tools to be used later and the removal of any of the excess material from the area. What Type Of Roof Coating Should You Use? How to Use Roof Coating?